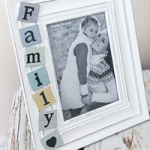 This family string art wooden photo frame features a fabulous 3D woven heart. 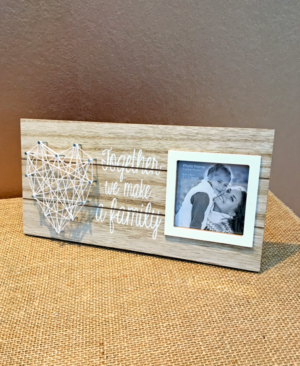 The lovely sentiment “together we make a family” sits centre stage with a square photo frame to the side. 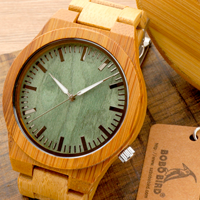 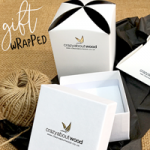 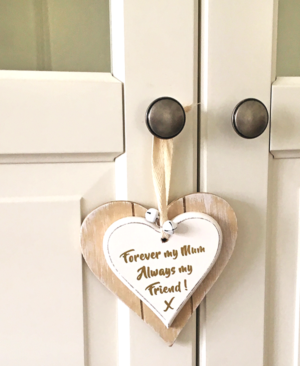 This is a gift that’s guaranteed to make all mums smile! 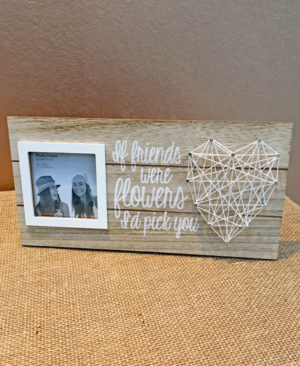 This friends string art wooden photo frame bears the lovely sentiment “If friends were flowers I’d pick you”, and features a fabulous 3D woven heart and square photo frame. 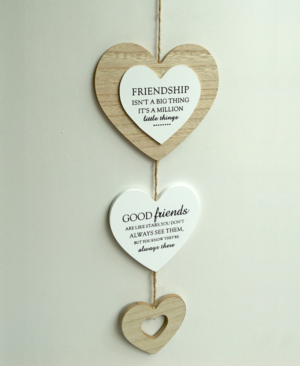 This Friendship Hanging Triple Wooden Heart Decoration is a lovely gift to show someone special how much you value his or her friendship. 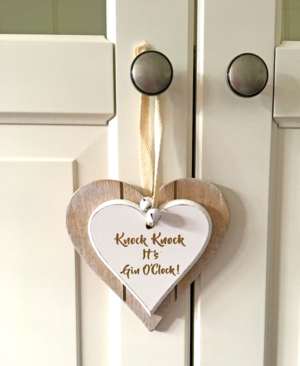 G & T fans are sure to raise a glass to the gold painted sentiment on this lovely hanging decoration – “Knock Knock It’s Gin O’Clock”. 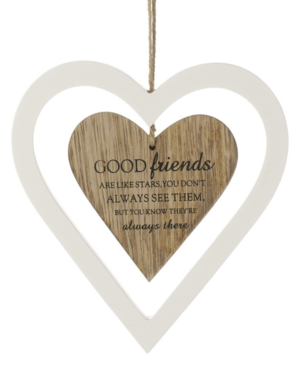 This Good Friends Hanging Heart Decoration bears the lovely sentiment “Good friends are like stars. 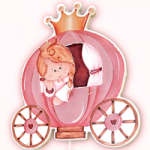 You don’t always seem but you always know they’re there”. 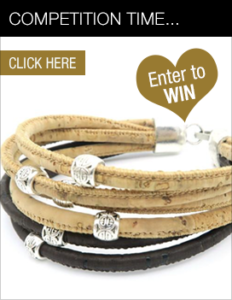 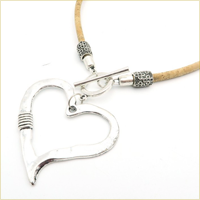 The attractive double heart design is complemented by rustic string for hanging this stylish decoration. 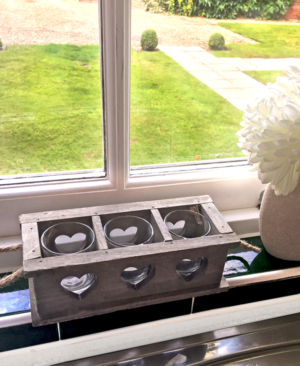 This chunky grey washed wooden triple t-light holder with glass hearts has a distinctly rustic ‘look and feel’. 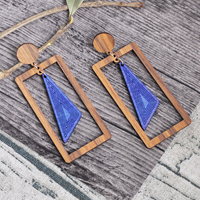 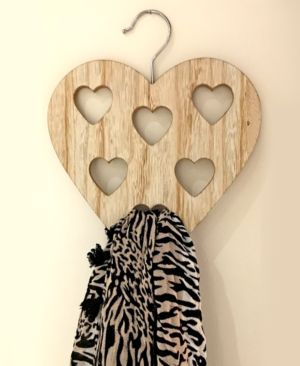 This Heart Wooden Scarf Hanger is the perfect gift for someone who adores scarves. 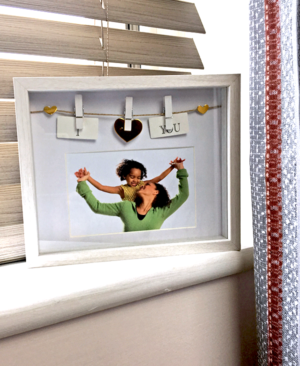 It’s a great way to display and store them in the wardrobe, and it means they’re always accessible! 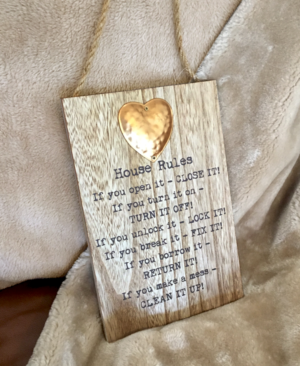 This attractive wooden plaque is a fun and stylish way of displaying ‘House Rules’. 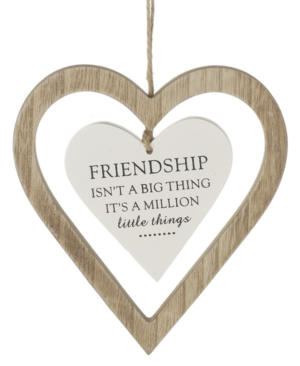 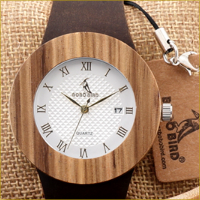 This lovely box frame has a whitewashed effect to its wooden surround. 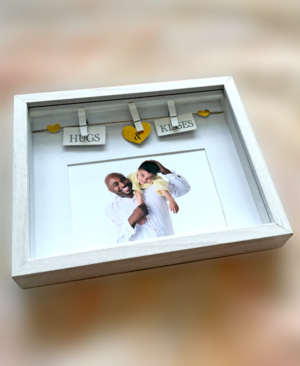 Precious moments deserve to be captured and showcased in the most special of frames – which this is!